The Night Circus is one of those books you completely understand the hype around it. Sometimes there will be books on the best seller list that I won’t necessarily gravitate towards or I see them being popular but fleeting. But The Night Circus is truly one of those stories that you have to fall in love with! Morgenstern has little details that separate her novel about magic and love from anything else on the book shelf. Unlike most romance stories, the story doesn’t feel contrived as if things were only happening to bring the two together. There are many moving elements to this novel, newspaper clippings, secondary storylines, and additional characters who work in the circus. There is a lot going on in this novel – it is not just a romance or magic story. There is a lot for the reader to become engrossed in. 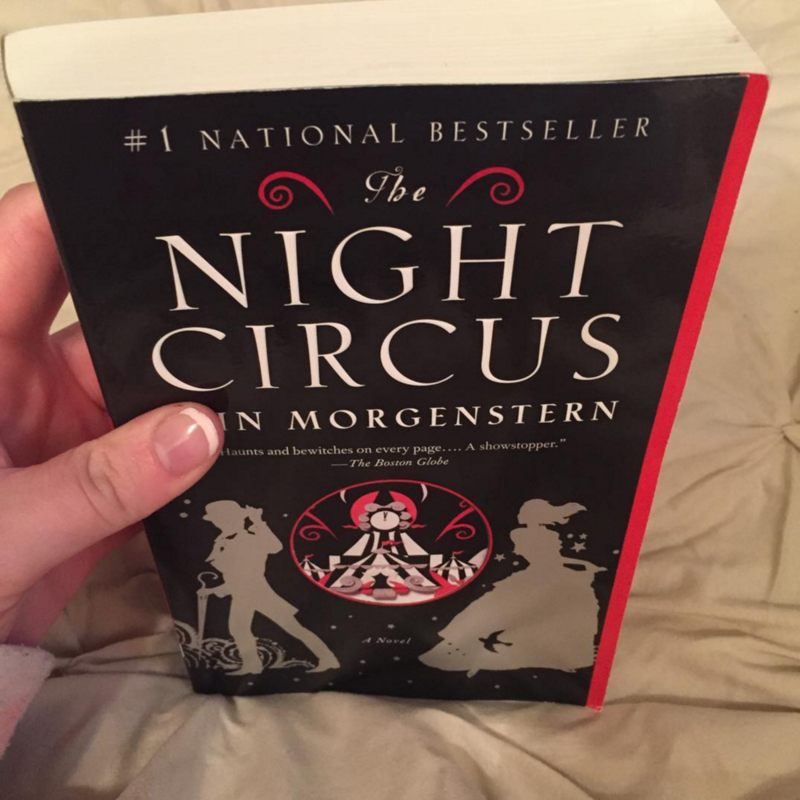 I must admit that I was very impressed with the writing style, particularly when Morgenstern was describing the magical elements Celia performs for her circus audition. I could see her actions playing out on the big screen - it was crystal clear, being the essence of what great writing should be. I could picture her hair changing color, her dress evolving into a new style, and the creations that she made on stage. The secondary and tertiary stories also add other dimensions to the tale. As a side note, the cover is absolutely stunning! If you see this book in stores, it will immediately catch your eye. This is one of those very rare moments when you can actually say, “You can judge a book by its cover.” The cover is gorgeous with black, red, and silver with splendid character outlines – reminiscent of the beautiful story inside. Newer PostBook Review: "A Little Something Different"